Do you want to touch an angel? It’s not that hard, as you might think it is! For the purpose, you need to find a magic herb, called angelica! I will help you with this, as today I am going to cover the topic of Angelica root benefits. The name “angelica” is related to the word “angel.” It is not randomly given, as this herb has some amazing healing and skin treating properties. 2. What are the main Angelica root benefits? 3. How to use angelica root to be healthy? Angelica is a herb. First – let’s clarify the name versions you will meet it on the internet, in the literature or on the cosmetic products’ labels. You may very likely find it as angelica archangelica, or angelica officinalis. 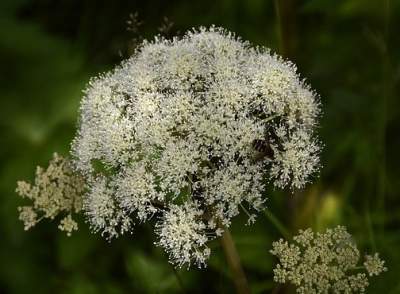 Another name versions are garden angelica, wild celery, Norwegian angelica, or even Holy Ghost! All you have to know is it is the same plant. It grows in Northern Europe but is cultivated in Central and South European countries like Hungary, Bulgaria, and Romania, as well. Asia is another home of angelica. In fact, the name “archangelica” originates from the Greek word for “arch-angel.” People believed that Archangel Michael was the one to uncover this herb for medical purposes. One can utilize different parts of angelica – leaves, stem, seeds, fruit, but most probably, this is going to be the root. Angelica essential oil is another way you can treat your body. It is derived from seeds and root of the plant, as they both have similar components. What are the compounds of angelica? Cyclopentadecanolide is the reason for the musky flavor of angelica root. Terpenes. They are the primary compounds of the essential oils of many types of medicinal plants and flowers. Valeric acid. It is famous with its sedative, antiseptic, anticonvulsant, antimigraine properties. It is found in valerian herb, as well. Angelic acid. It was first isolated in the nineteenth century namely from angelica root. It has sedative and tonic properties and helps with nervous problems, fever, colic, heartburn, loss of appetite, gout, headache. When we know what angelica is, let’s see how it can help you. What are the main angelica root benefits? Lab test has proved the herb stimulates the immune system. It protects from harmful bacterial invasion. It relieves pain, but unlike drug analgetics, angelica doesn’t impact the brain and has a local anti-inflammatory effect instead. Angelica root is especially useful in cold and humid weather when it relieves the stiffness and tightness in ankles and muscles. A lot of people who actively do sports, take the herb for muscle fever. Angelica is so helpful for sharp pain in back and legs. Combined with ginger, it can relieve neck pain and stiffness. 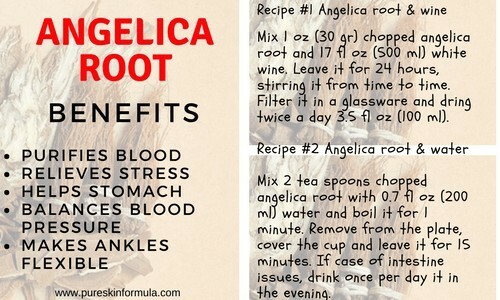 With angelica root, you can improve the work of your stomach. It supports food digestion and reduces belching, intestinal gas and bloating. In Chinese culture, ginseng is considered a male tonic, while angelica root is accepted more as its female version. It can support women in their conception, and decreasing probability of a miscarriage. Women can take angelica right before giving birth, or to decreasing problems in menopause. Intake during pregnancy is not recommended. Angelica is included as an ingredient in anti-aging natural cosmetics due to slowing down adverse effects on the skin. 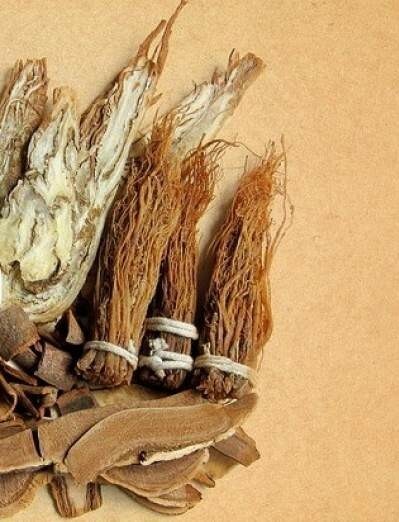 But though it is considered mainly “female” herb, men can also benefit from its properties, especially if they experience frequent fatigue, high blood pressure, high-stress levels. Angelica can purify blood and relieve asthma symptoms. Consider it when you have respiratory infection and flu. OK. You see the benefits’ list is so long! That’s why angelica root is accepted as a universal herb, making you feel better, overall! Now I will share with you two recipes that you can use at home, to improve your condition, or to prevent health issues. How to use angelica root to be healthy? Mix 1 oz (30 gr) chopped angelica root and 17 fl oz (500 ml) white wine. Leave it for 24 hours, stirring it from time to time. Filter it in glassware and drink twice a day 3.5 fl oz (100 ml). Mix 2 teaspoons chopped angelica root with 0.7 fl oz (200 ml) water and boil it for 1 minute. Remove from the plate, cover the cup and leave it for 15 minutes. In case of intestine issues, drink once per day it in the evening. I have already mentioned pregnant women should avoid it. It is not recommended for people who are likely to get diabetes, as angelica could increase blood sugar. Don’t overdose it, as it might hurt your blood pressure. It is always an option to consult with your doctor if you have any doubts how exactly to include this fantastic herb in your diet. Where to find angelica root? My recommendation is to use only certified products with a proven track record, irrespective you consume the plant root, as mentioned in the recipes, or get natural cosmetics with angelica essential oil or extract. There are different approaches how you can achieve natural skin care and natural hair care. You have to know some basic rules. By the way, burdock root is another amazing plant you can utilize. To give you the fundamental knowledge about angelica herb as a whole and individually its root. To make you consider it in your health and beauty kit, as it is pretty good to underestimate it! Find the best way to use angelica and TAKE ACTION! I would love to hear from you! What herbs do you use or have you heard are suitable to apply? Leave me a comment, and I will answer you! Awesome! I am going to get some and try it for my chronic pain and inflammation due to injury. For your recipe of angelica root and wine, how often can you take that? Only until that batch is gone or can you drink it daily for as long as you want? This is very interesting to me! Thank you for your comment! Angelica root is a herb appropriate for chronic pain and inflammation. I hope your injury is not severe and you will be relieved, taking angelica! Wish good luck with the therapy! Wow, this is such an amazing post about angelica herb. I have heard about it but never knew it has that much goodness in it, the best thing is that you have shared recipes as well. many thanks for the great post. I am glad you are now aware how good angelica herb is! It’s worth giving it a try! Especially if you have any of the symptoms described. If this is your case, you can benefit from the recipes. I was not at all familiar with the great benefits of the Angelica herb. Your article is very interesting and easy to follow. I’m amazed about the benefits of the Angelica root. I suppose there are many different sorts of products containing its healing components. Is there a cream for soothing the stiffness and tightness in muscles? Thank you for sharing the two angelica root recipes. May I also ask for how long period should the intake last? After having read this, I absolutely want to get to know this angelical herb better and try products based on it.